10:15 a.m. - FOXCROFT RD - First Aid - Reported person fell, no assistance required. 8:55 p.m. - PARK PL - Fire Call - Assist citizens with control of utilities. 5:46 p.m. - WHITEHAVEN RD - First Aid - 2 patients treated for injuries from auto accident. 7:05 p.m. - SETTLERS ROW - First Aid - Patient left in care of patrol. 12:23 p.m. - BLACKMON RD - Fire Call - $400 damage from fire confined to oven. 6:18 a.m. - TOWN HALL TERR - Fire Call - Reported gas leak found to be caused by crew servicing heating system. 9:07 a.m. - HUTH RD - Fire Call - Meat on the stove. 9:36 a.m. - GRAND ISLAND BLVD - Fire Call - $75,000 damage to Metro bus from fire & smoke. 12:21 a.m. - THRUWAY NORTH - First Aid - Reported auto accident found to be a disabled vehicle. 12/17/2010 06:49 a.m. - WHITEHAVEN RD Fire Call - Alarm malfunction - avoidable. 12/18/2010 09:54 a.m. - EAST RIVER RD First Aid - Teamwork saved 1 man who fell through the ice. 12/19/2010 15:25 p.m. - EAST RIVER RD Fire Call - Meat on the stove. 5:18 p.m. - WHITEHAVEN RD - Fire Call - $500,000+ damage from house fire. 24:51 p.m. - GREGORY PL - Fire Call - Carbon monoxide investigation. High levels of CO referred to National Fuel & homeowner for action. 9:27 a.m. - FALLS LINK - Fire Call - Alarm activation reported by neighbor. No fire. 6:07 p.m. - BEDELL RD - Fire Call - Meat on the stove. 12:32 p.m. - LOVE RD - Fire Call - Avoidable alarm. Accidental. 1:26 p.m. - AMBERWOOD DR - First Aid - Assist only. 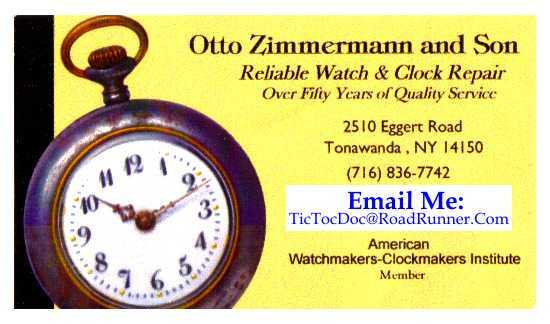 3:37 p.m. - THRUWAY NORTH - First Aid - Property damage only accident. 8:29 p.m. - THRUWAY NORTH - First Aid - Trauma call. Six Patients treated due to a 3 car accident. 3:55 p.m. - THRUWAY NORTH - Fire Call - Reported driver slumped over wheel found to be a disabled vehicle. 11:12 a.m. - GRAND ISLAND BLVD - First Aid - Medical call with two patients treated. 8:46 p.m. - BASELINE RD - Fire Call - Motor vehicle accident. No injuries. 3:13 p.m. - EAST RIVER RD - Fire Call - Avoidable residential alarm activated by contractor dust. 9:41 p.m. - WHITEHAVEN RD - Fire Call - Tour bus fire. 11:05 a.m. - LOVE RD - Fire Call - Avoidable alarm. Meat on the stove. 2:15 p.m. - WHITEHAVEN RD - Fire Call - Avoidable accidental fire alarm. Alarm activated by incense. 4:45 p.m. - EAST RIVER RD - Fire Call - Avoidable alarm. Meat on the stove. 11:50 a.m. - MARJORIE DR - Fire Call - No emergency on arrival. 10:05 p.m. - THRUWAY SOUTH - Fire Call - Investigate natural gas odor. 4:32 p.m. - CARTER DR - Fire Call - $35,000 damage caused by kitchen fire. Citizens are cautioned to follow all safety rules when preparing holiday meals, especially safety rules relating to cooking and frying turkeys. 10:02 p.m. - LASALLE CT Fire Call - Meat on the stove. 9:45 p.m. - BASELINE RD - First Aid - Police emergency stand-by. 11/04/2010 14:35 p.m. - EAST RIVER RD - Fire Call - Avaoidable alarm . Activation due to construction. 11/07/2010 10:29 a.m. - WHITEHAVEN RD - Fire Call - Meat on the stove. 6:35 p.m. - ROB ROY PK - Fire Call - Reported garage fire. Unfounded. 7:11 a.m. - WEBB RD - Fire call - Wires down. 8:26 a.m. - LOVE RD - Fire call - Wires down. 8:38 a.m. - BEDELL RD - Stand By - Stride for Stewart event. 10:56 a.m. - LONG RD - Officer's Call - Investigate intermittent smoke detector activation. 10:20 a.m. - LONG RD - Fire Call - Assist citizen with control of utilities after reporting an arcing outlet. 8:49 a.m. - BASELINE RD - Fire Call - Meat on the stove. 8:04 p.m. - THRUWAY SOUTH - First Aid - Multiple casualty incident (MCI)> Seven patients treated. 8:07 p.m. - CONTINENTAL LN - Fire Call - Meat on the stove. 3:03 p.m. - HARVEY RD - Fire Call - Object of potential rescue reported safely on opposite shore. 9:36 p.m. - BASELINE RD - Stand By - Police emergency. Stand by only. 2:05 p.m. - LOVE RD - Fire Call - Unreported fire drill. 7:23 a.m. - STALEY RD - Fire Call - Alarm system sounded due to catastrophic water system failure. 7:26 a.m. - ORCHARD RD - Fire Call - Smoke detector malfunction. 8:40 a.m. - WHITE TAIL RUN - First Aid - Medical call. 9:06 p.m. - BASELINE RD - Fire Call - Assist citizens with control of utilities. 4:23 p.m. - RANSOM RD - Stand By - Vikings football. 1:21 p.m. - TRACEY LN - First Aid - Medical call. Our annual Fire Prevention Open House is Friday, October 8, 2010 from 5:00pm to 8:00pm. This year we are including an antique fire apparatus show featuring many pieces of retired equipment from throughout Western New York! 7:08 a.m. - MAJESTIC WOODS DR - Fire Call - Meat on the stove. 5:53 a.m. - EAST RIVER RD - Fire Call - Origin of smoke in residence undetermined. 9:45 a.m. - HUTH RD - Fire Call - Malicious false alarm. 7:21 a.m. - STONY POINT RD - Fire Call - Low hanging wires referred to Verizon. 9:31 a.m. - STONY POINT RD - Officer Call - Low hanging wires referred to Verizon. 3:34 p.m. - WEST OAKFIELD RD - Fire Call - No incident found. 4:22 a.m. - GRAND ISLAND BLVD - First Aid - Cancelled by patrol. 3:56 p.m. - GRAND ISLAND BLVD - First Aid - Medical call. Refused aid. 10:34 p.m. - WHITEHAVEN RD - Fire Call - Accidental alarm due to fog machine. 3:05 a.m. - BEDELL RD - First Aid - Assist only. Plan ahead for our Fire Prevention Week open house on October 8, 2010 from 5:00pm to 8:00pm at Grand Island Fire headquarters, 2275 Baseline Rd, Grand Island. Contact Assistant Chief Christopher Soluri at 2AChief@GrandIslandFire.US for further details. 10:46 a.m. - GRAND ISLAND BLVD - Fire Call - Trash can fire next to fuel pump. 9:41 a.m. - ISLAND PARK DR - Fire Call - Meat on the stove. 1:32 p.m. - EAST RIVER RD - First Aid - Trauma call. 7:44 p.m. - EAST RIVER RD - Fire Call - Investigated and advised citizens regarding nuisance burning. 1:06 a.m. - SANDY BEACH RD - First Aid - Trauma call. 9:04 a.m. - FIX RD - HazMat Call - Contractor caused natural gas leak. 2:23 p.m. - EAST RIVER RD - Stand by - Antique boat show stand by. When approached (from the front or rear) by an emergency vehicle whose lights and siren are activated, the driver of every other vehicle must yield the right of way. The vehicle shall stop and remain stopped until the emergency vehicle or vehicles have passed, unless otherwise directed by a police officer. 11:04 a.m. - GRAND ISLAND BLVD - Fire Call - Investigate wires pulled down by motor home. 10:43 a.m. - FIX RD - Fire Call - Investigated and advised citizens regarding nuisance burning. 11:40 a.m. - WHITEHAVEN RD - Fire Call - Assist citizens with control of utilites. Control traffic and refer to National grid. 1:20 p.m. - FOREST CREEK LN - First Aid - Medical call. 11:01 p.m. - NIAGARA RIVER - Marine Unit - Search for boat in distress. 11:26 a.m. - STALEY RD - Fire Call - Grass fire caused by electrical disrupton. 10:35 p.m. - SPICER CREEK RUN - Fire Call - Assist citizens with control of utilities. 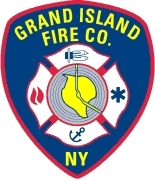 12:59 a.m. - GRAND ISLAND BLVD - First Aid - Medical alarm activation. Misuse of alarm. 7:16 p.m. - EAST RIVER RD - Fire Call - Meat on the stove. 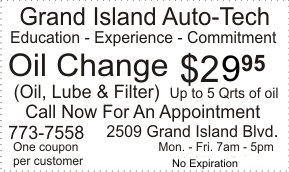 11:20 a.m. - GRAND ISLAND BLVD - First Aid - Assist only. 7:22 p.m. - WEST RIVER RD - Fire Call - Controlled burn. 5:37 p.m. - BASELINE RD - Stand By - "National Night Out"
3:03 a.m. - NIAGARA RIVER - Marine Unit response - Search & rescue. Missing vessel found in port. 1:46 p.m. - LONG RD - Fire Call - Accidental alarm. 2:41 p.m. - EAST RIVER RD - Fire Call - Assist citizens with control of utilites. 10:04 a.m. - BEAVER ISLAND - First Aid - Treat triathelete for cardiac arrest. 9:49 p.m. - EAST RIVER RD - First Aid - Multiple casualty incident. 3:20 p.m. - GRAND ISLAND BLVD - Fire Call - Meat on the stove. 8:33 p.m. - WHITEHAVEN RD First Aid - Motor vehicle accident. Injuries denied. 11:02 a.m. - BEAVER ISLAND Fire Call - Reported plane crash found to be normal water landing near a mainland truck fire. 8:14 a.m. - HEATHER LN - First Aid - Assist only. 2:18 p.m. - WHITEHAVEN RD - Fire Call - Odor of natural gas traced to fumes from varnish. 2:16 p.m. - WHITEHAVEN RD - Fire Call - Power line incident involving a tractor trailer and two snapped utility poles left in care of National Grid. 11:04 a.m. - COLONIAL DR - Fire Call - Meat on the stove. 8:08 p.m. - BASELINE RD - First Aid - Police emergency stand-by. 9:21 p.m. - CARTER DR - Fire Call - Carbon Monoxide Investigation. 40 parts per million traced to water heater. 3:58 p.m. - LASALLE AV - Fire Call - Power line down. 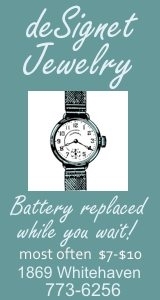 Stand by and refer to National Grid. 8:31 p.m. - WEST RIVER RD - Fire Call - Smoke from faulty light ballast. 1:32 a.m. - EAST RIVER RD - First Aid - Patients treated after car accident and transported to hospital by ambulance & Mercy Flight. 3:39 p.m. - GRAND ISLAND BLVD - Fire Call - Mulch fire next to a building. 8:35 p.m. - STONY POINT RD - Fire Call - Investigated and advised citizens regarding nuisance burning. 9:13 a.m. - RANSOM RD - First Aid - Defibrillator access alarm. No emergency found. 12:10 p.m. - EAST RIVER RD - Fire Call - Heavy smoke found to be well controlled burn. 10:07 p.m. - WEST RIVER RD - Fire Call - Smoke in home found to be faulty light balast. 10:44 a.m. - EAST RIVER RD - First Aid - Patient refused evaluation. 8:36 p.m. - BASELINE RD - Stand By - Fire prevention activity. 06/28/2010 21:11 p.m. - WARNER DR - Fire Call - Investigated and advised citizens regarding nuisance burning. 7:11 p.m. - THRUWAY SOUTH - First Aid - Accident with injuries. 07/01/2010 22:45 p.m. - THRUWAY SOUTH - First Aid - Trauma call. 6:12 p.m. - WILLIAM ST - Stand By - Mutual aid request. 10:54 p.m. - GRAND ISLAND BLVD - Stand By - Standby for fireworks recovery. Did you know? The Centers for Disease Control and Prevention (CDC) notes that excessive heat exposure, �Caused 8,015 deaths in the United States� from 1979-2003. That�s more deaths due to heat exposure than from all the major natural disasters combined, including hurricanes, lightning, tornadoes, floods, and earthquakes.